You will have noticed that recently I have been exploring Wales and interesting places to see, stay, and take the most incredible photos at. Wales is truly incredible for views: the gorgeous valleys, waterfalls, caves... I fell in love with from the first trip we took back in 2014 (you can read about that trip here!) and was super exciting to be back in the valleys this year for a mini break with Heidi. You know one of those weekends when you just need to get away and do something you like doing without worrying about work? Like a mini digital detox, but we couldn't keep away from Instagram! 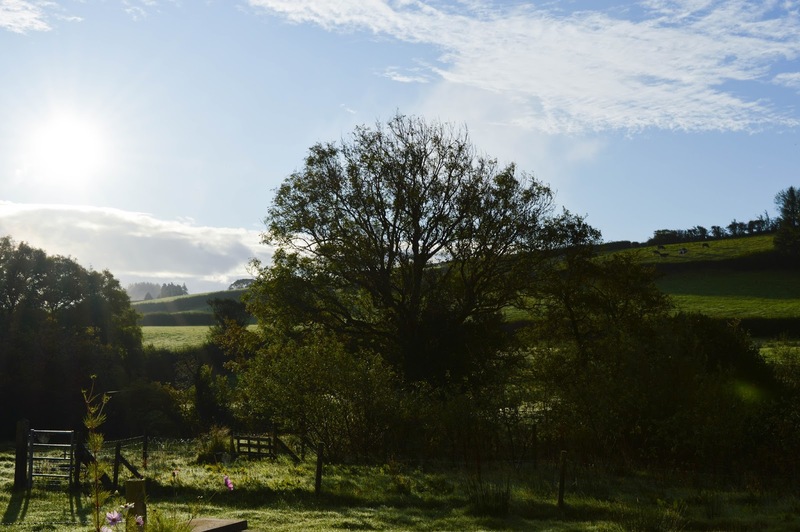 We stayed in the most beautiful cottage near Carmel in Carmarthenshire which is close to Brecon Beacons. The views were incredible - there was literally nothing around us! Just fields, hills, and a lot of sheep. 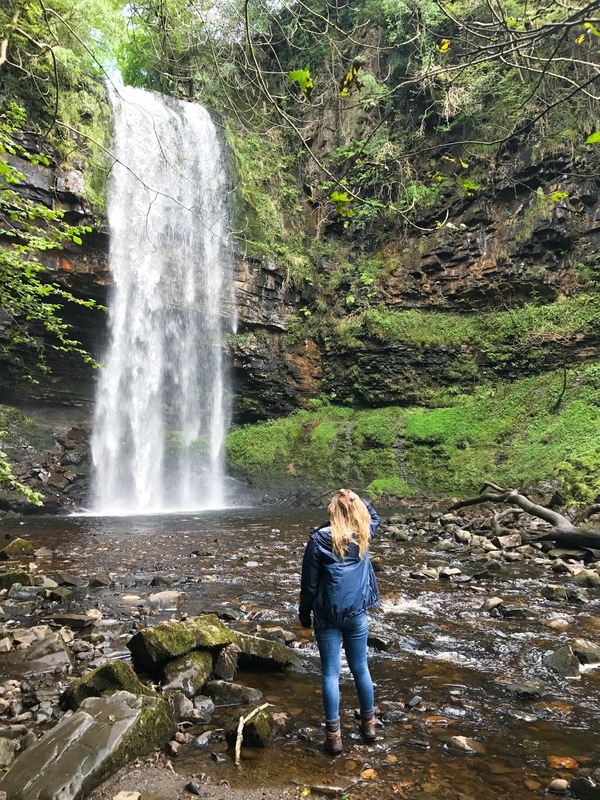 We had an active weekend planned with lots of exploring to do in the area: see waterfalls, explore caves, and go on hikes in the Beacons. So we wanted somewhere warm and cosy to stay, especially after a long day in the potential rain and wind. 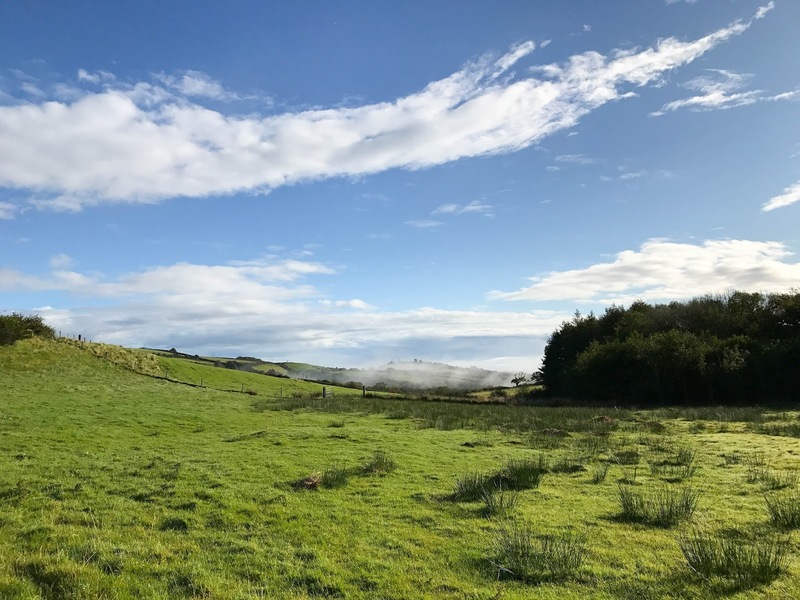 I found the Cartshed near Llandeilo on AirBnB - if you haven't used AirBnB yet, I strongly suggest you do for your next trip. 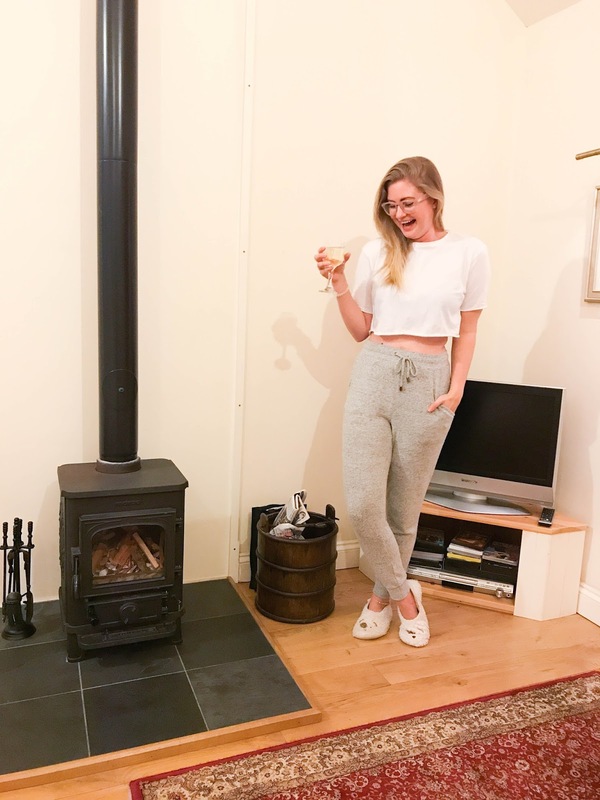 With competitive prices and some incredible accommodation, it's my choice when it comes to booking weekends away - so far the places I have stayed have all been just what I was looking for! 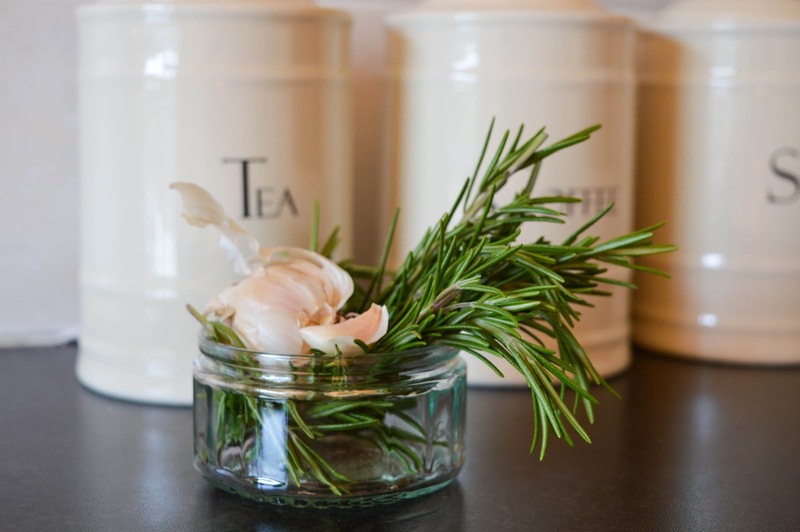 Doug and Stella from the Cartshed were lovely and very welcoming - they showed us around, showed us some lovely walks in the area, and we even managed to get some homegrown garlic and rosemary for our camembert, from their allotment by the property! 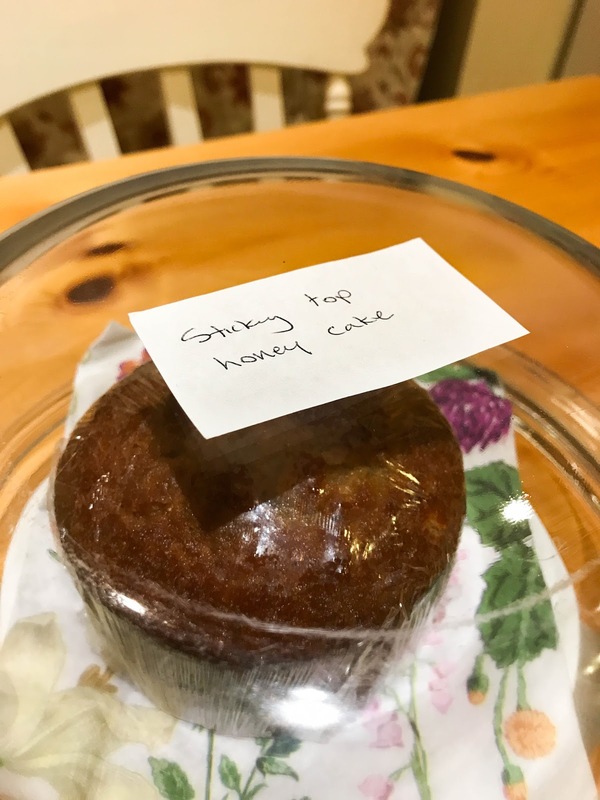 We also came to find a delicious honey cake made by Stella waiting for us - it was so cute. 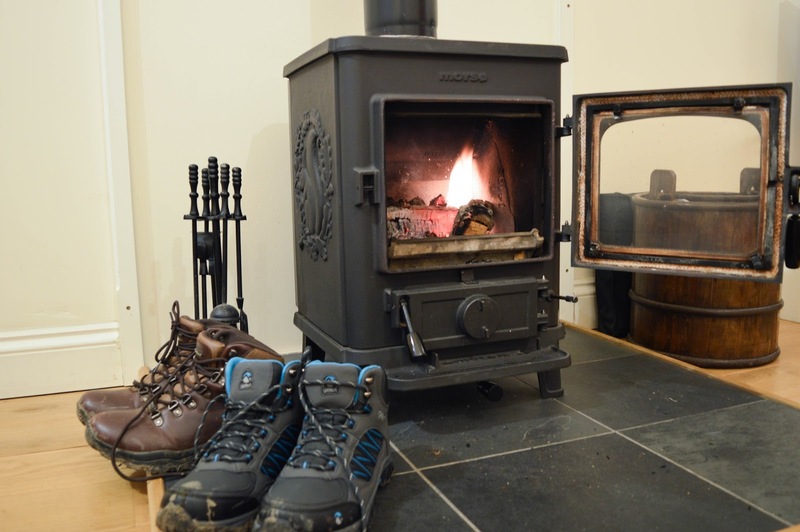 The cottage was really warm and cosy, with a log burner, TV, and even wifi access in the middle of nowhere! The cottage was renovated by Doug and is an Instagrammers heaven. Plus, the rainforest shower is amazing! 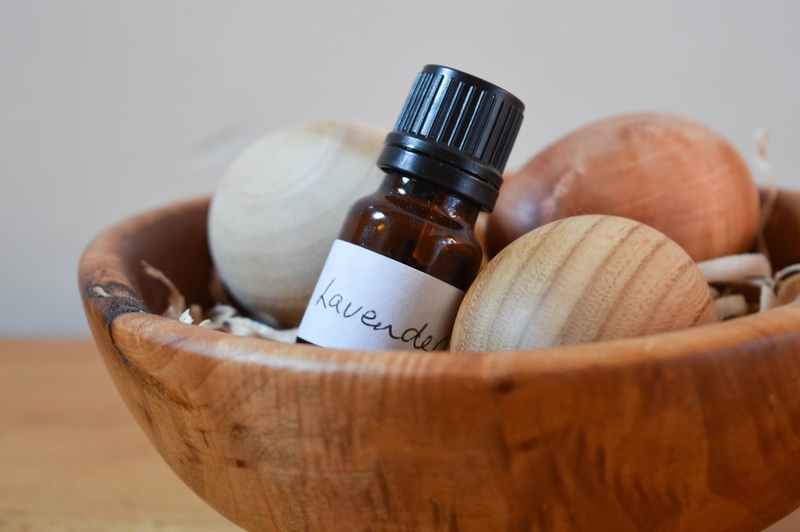 So basically everything you need for a relaxing weekend away. During the first night we relaxed, had some wine and watched TV whilst planning our first adventure. 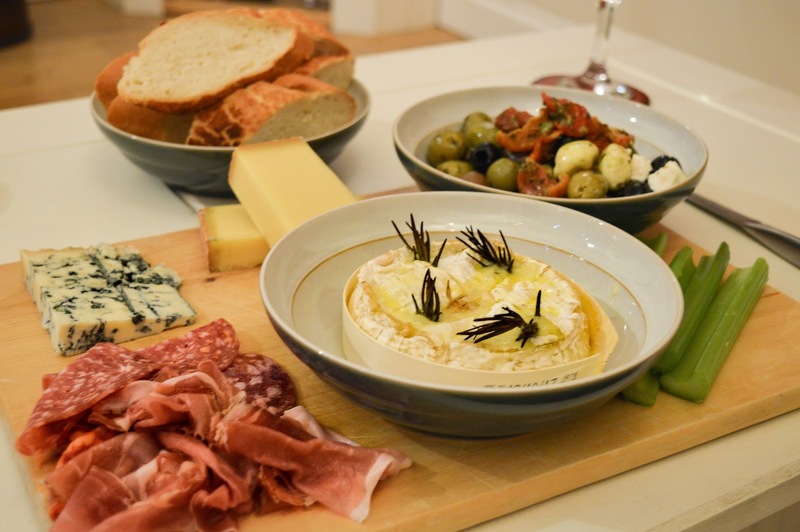 Necessities of a good Friday night are always: wine, cheese, olives, and something sweet. PJs are compulsory, and the crappier the TV shows, the better. 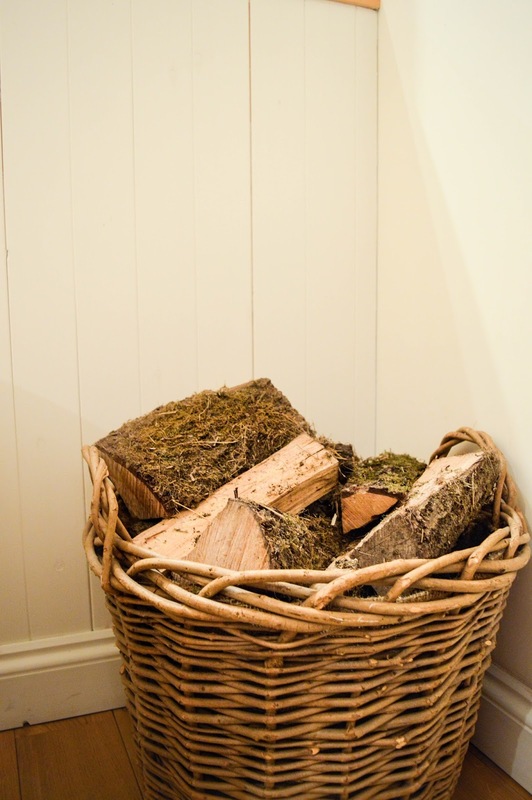 If you have a log burner or a fireplace, you're winning at life. Am I right? So that's exactly the set up - it was nice not to have any phone signal for texts and calls to get through, and I went on wifi only when I wanted it. Now for someone who's phone beeps 197 times for one Facebook page a day (and I currently run 6 client Facebook pages), it was heavenly. A much needed digital detox! Tell me, how many of you take a regular digital detox? Because it can really help you out with sanity, especially when you work in social media! 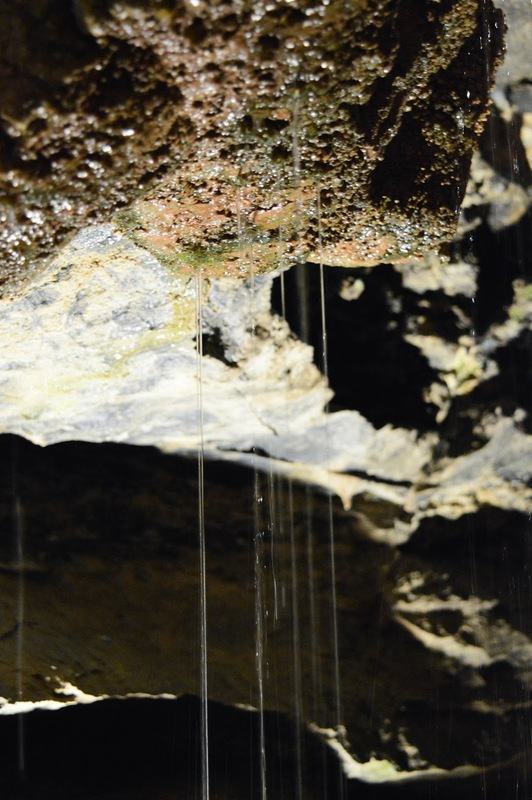 Our first adventure, and one we were very keen to explore, was visiting the caves in Dan yr Ogof in South Wales. I have always wanted to go and see caves, even though I was a little frightened - anxiety and claustrophobia kick in, I just keep thinking if we get stuck or lost who will come and find us?! Especially with no phone signal. Plus, have you seen The Descent? 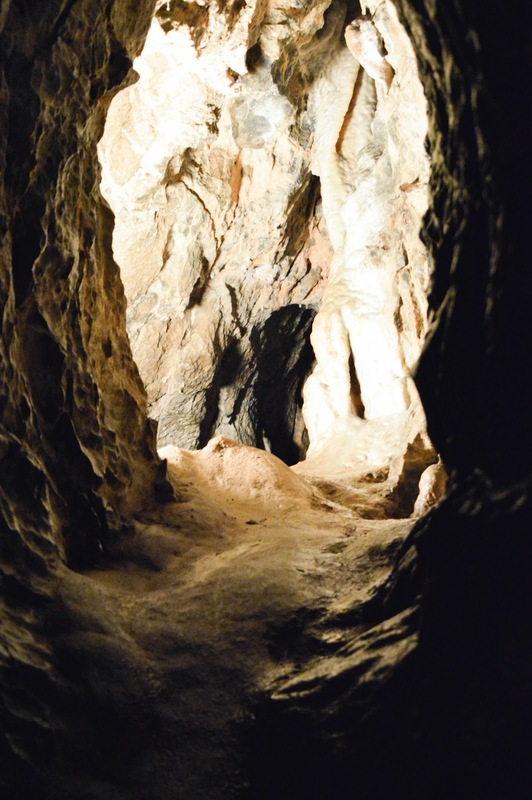 The caves in Dan yr Ogof were the perfect introduction to caves - they're for tourists and all abilities, so even though you do go deeper into the caves and experience the beauty of them, you don't have to squeeze yourself through tight spaces or swim to get to the next part of the cave. Phew! We got to see the sights, without extremely tight spaces. 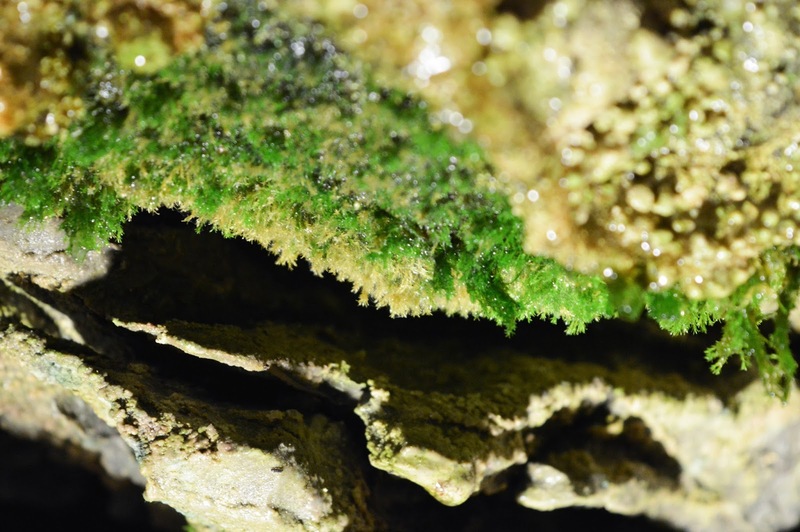 You can read more about the caves and view some stunning photos in my blog post: Places to Visit - Dan yr Ogof! We also found out that there was a gorgeous waterfall about 20 minutes drive away from the caves - the beauty of Wales is that you discover so many places along the drive! The waterfall is called Sgwd Henrhyd and it's a short hike from the car park. The waterfall is stunning - and you can even go behind it, or swim in the pool under it (if the weather is warm!). There are so many stunning waterfalls in Wales, one of the reasons why I love it so much, it would be a shame not to see some of the bigger falls whilst we're exploring. 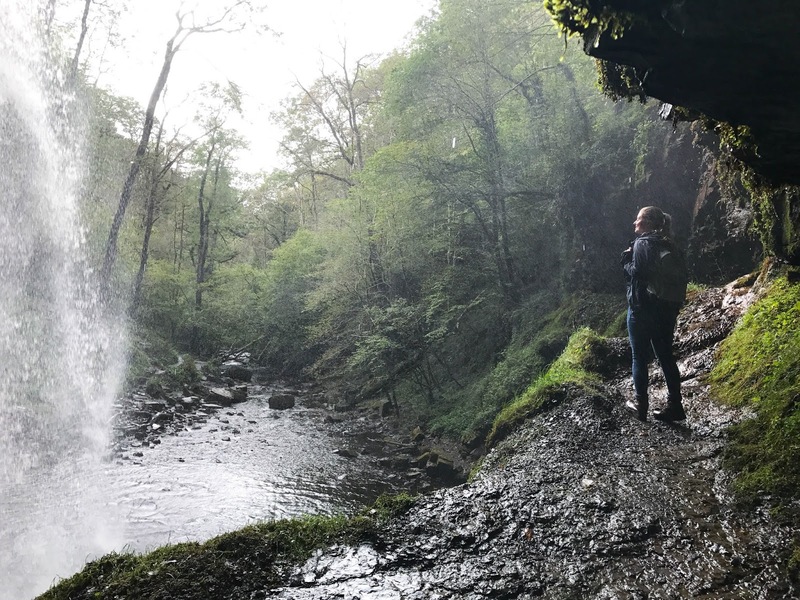 Plus, a fun fact about Henrhyd waterfall is that Batman: The Dark Knight Rises was filmed at this location - it doubled as an entrance to the Batcave! You can read more about the stunning Sgwd Henrhyd and view stunning photos in my blog post: Places to Visit - Swgd Henrhyd. 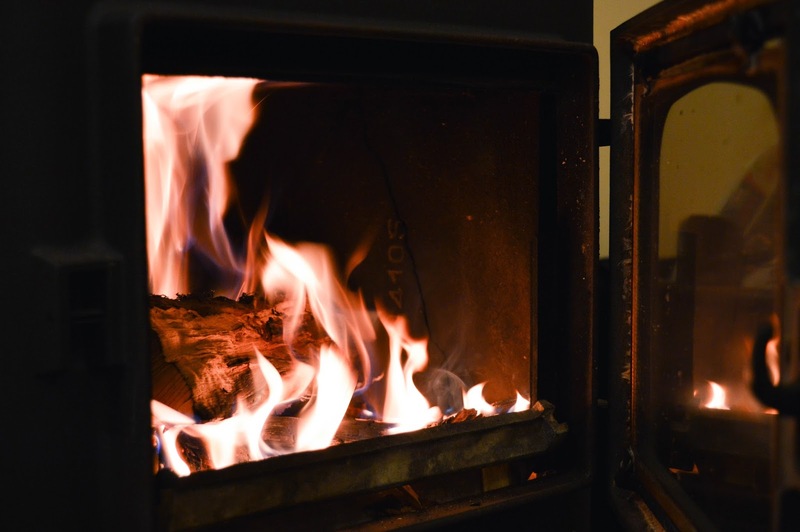 If you're planning on a weekend trip to Wales exploring the scenery, waterfalls, caves, and other beautiful yet sometimes challenging places then coming back to the log burner is heavenly. 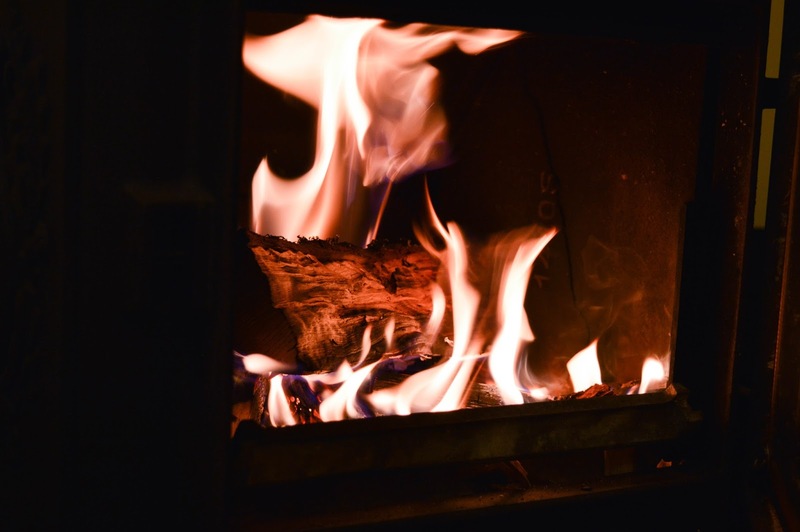 We warmed our boots and socks by the fire, whilst enjoying hot drinks or red wine. YUM. 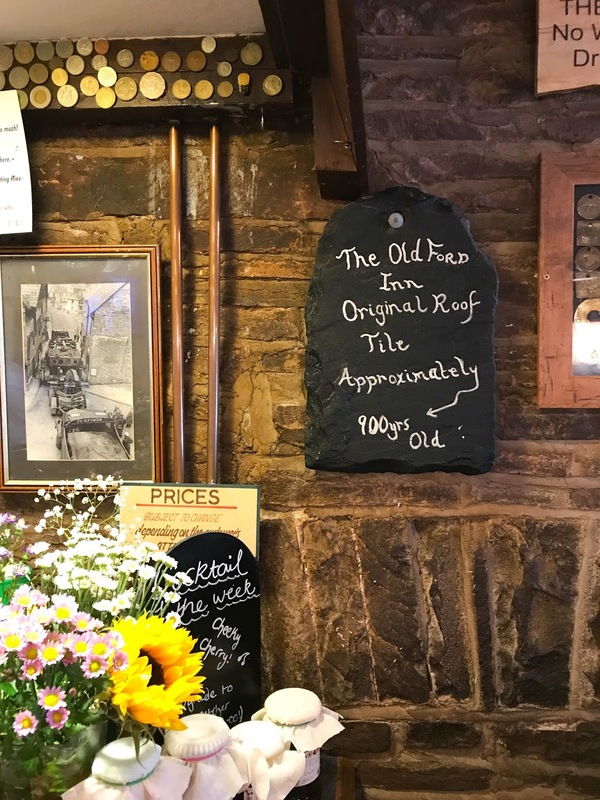 We had a meal at the lovely Old Ford Inn in Brecon and we discovered that by chance! I just had to have the lamb roast because when you're in Wales it's a shame not to have Welsh lamb. It's delicious. 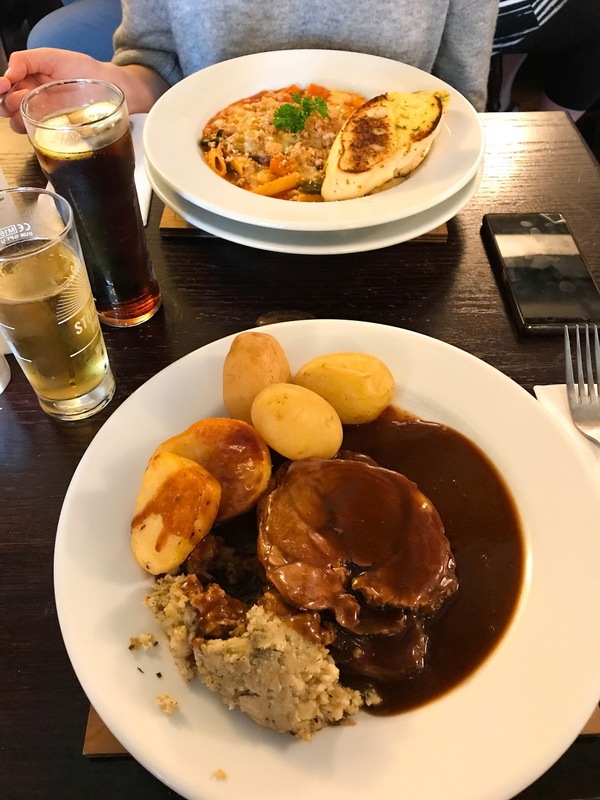 Most places will also have a couple of veggie options, but you have to be mindful that most countryside pubs tend to have meat and fish on the menu - so if you are a veggie it may be best to have a quick check what's on the menu before you set off for a foodie adventure. Heidi eats fish and seafood so we're usually OK for food. If you're a vegan - you definitely need to have a look at options in family run country pubs to ensure they do vegan options. Same with gluten free! My favourite adventure of the weekend was the trip to Llyn y Fan Fach - a scenic hike leading to the most beautiful view of a historic lake. The views were truly breath taking - it's one of the most incredible places I have been to. Brecon is a stunning place to explore, and there is so much of it. Although some of the hikes are pretty steep and it may take you a while to get to your destination, every step of the way is worth it. We even came across a little trout farm in the middle of the hills! 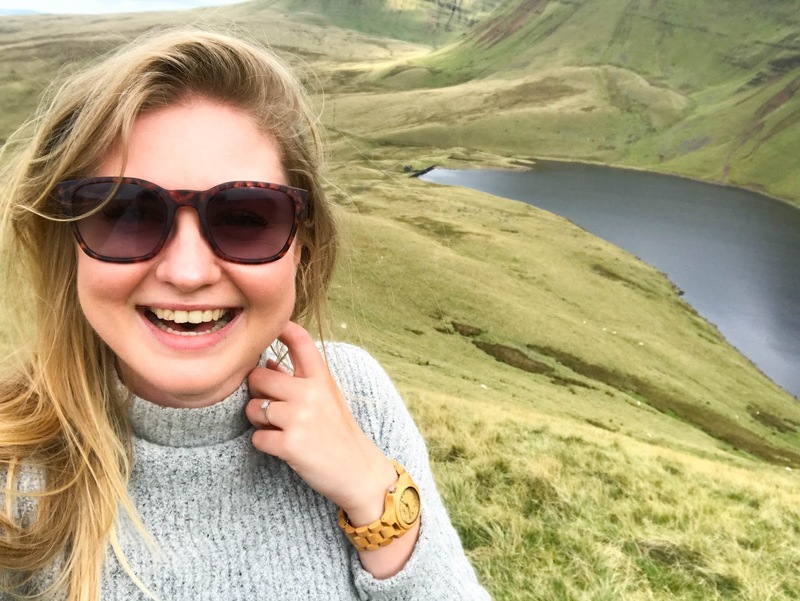 You can read the full story, look at the beautiful photos from the top of the hill, and discover the history behind the lake in my blog post: Discovering Llyn y Fan Fach. So there we go! 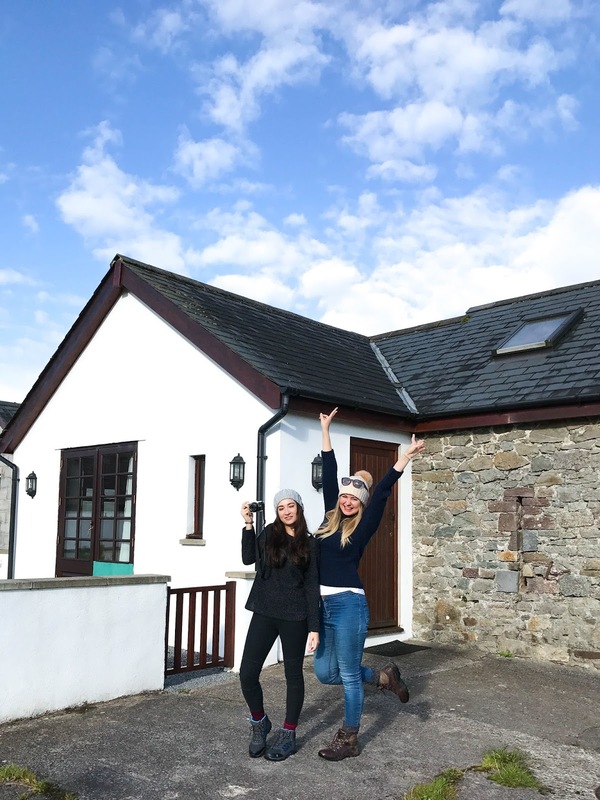 One massive post about our weekend away in Wales. 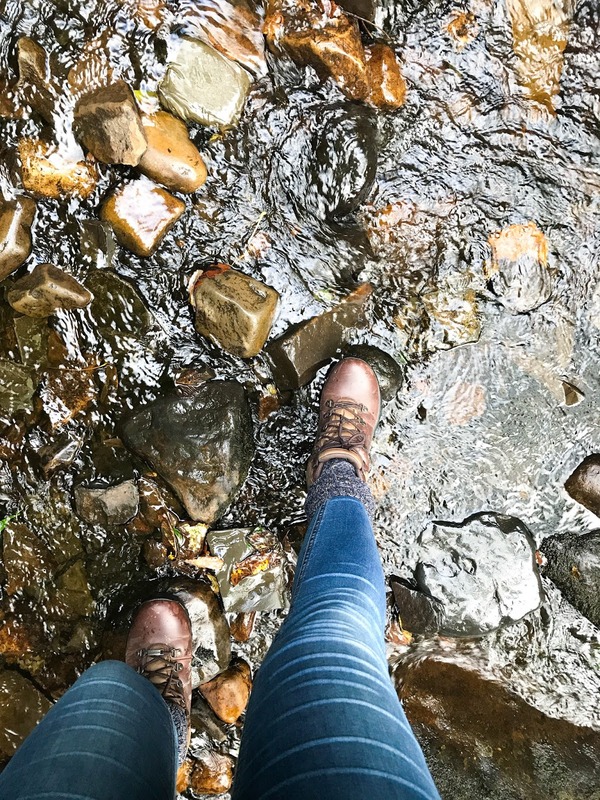 I ended up going back to Wales a couple of weeks later to stay in Snowdonia because I couldn't get enough of the scenery and I wanted to discover even more places which I have bookmarked. I will write about my Snowdonia adventures in a few weeks time, but I want to leave you with this hilarious vlog of mine and Heidi's trip - I fully expect you to laugh out loud with us! Comment if you think we should have our own reality show!